Dave Bartley (Seattle) plays mandolin, guitar, cittern, and numerous other plucked string instruments. 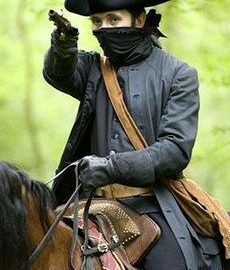 He can provide a quiet foundation, inject a fiery driving rhythm, or pull wicked licks out of thin air. His odyssey from flashy rock guitarist to classical musician to eclectic sideman to tunesmith filters through his fingers, making you wonder what he’ll do next, playing the tune, then playing around, inside, and beyond it. Shira Kammen (Berkeley), a multi-instrumentalist (primarily violin and vielle) and vocalist, has spent most of her life exploring early and traditional music. She is one of a rare class of musicians that elevate the musicianship of those around her with her astonishing virtuosity and imagination. A favorite at dance and music camps and a member of many bands and ensembles, she is constantly performing and teaching nationally and internationally with the elite of the music world. She has appeared on 60-ish recordings in a variety of styles of music, and is considered a demi-goddess in early music circles. Jim Oakden (Santa Cruz) started playing piano and clarinet at an early age and stumbled into early music from the classical music scene, from whence he discovered the world of traditional and ethnic music. Having diverse tastes (or a short attention span), he performs on an absurd number of instruments, from accordion to zurna (to name a few). 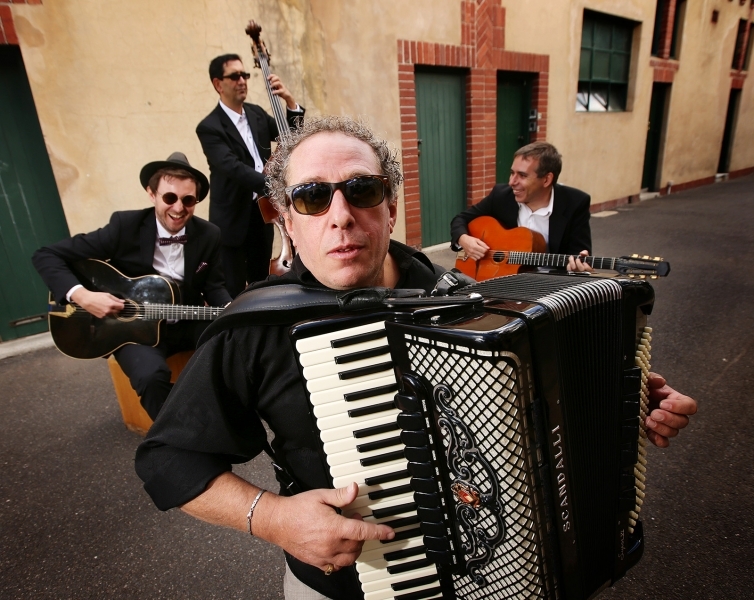 Together, their arrangements range from strictly traditional to soaring flights of imagination and improvisation. 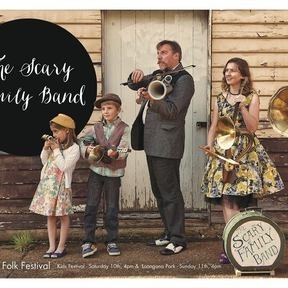 They have recorded 6 CDs, and have become favourites at events throughout the USA and England. 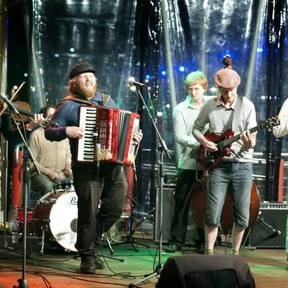 The band’s varied influences include English, contra, early music, classical, Breton, Scottish, Irish, Cape Breton, Galician, French, Balkan, jazz-fusion, Greek, and a variety of song traditions. Tickets: https://trybooking.com/BADSB or cash at the door if available: $25/ $22 concession. Limited seats. Booking advised. Discounted weekend and online tickets available. 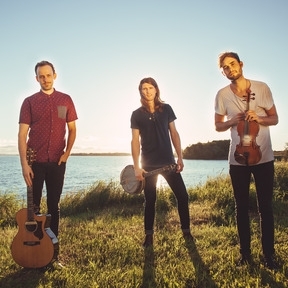 Raucous to serene trad-inspired music by Roguery (USA). 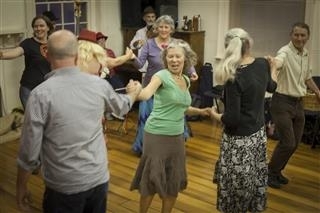 A dance party with English country dance, contra, and ceilidh style dances. All dances taught by Brooke Friendly (USA). No dancing experience or partner required. Tickets: https://trybooking.com/BADSB or cash at the door: $25/ $22 concession/ $20 member/ $15 f/t student. Discounted weekend tickets and online tickets available. 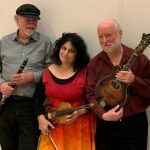 11:30 Shira Kammen Sing rounds, canons, catches, and other forms using musical imitation from the 12th to 17th centuries. The pieces will range from the simple and sweet to the complex and rich. For anyone who likes to sing, experienced and otherwise. Shira is one of a rare class of musicians that elevate the musicianship of those around her with her astonishing virtuosity and imagination. She is constantly performing and teaching nationally and internationally with the elite of the music world. 11:30 Jim Oakden Learn some wonderful tunes from Celtic Spain with some cultural background, including some commentary on playing them for dances. Jim is a master multi-instrumentalist. 1:30 Shira Kammen Explore the wit, humour and melancholy of the High Renaissance in England. We’ll look at dance melodies, ballads, madrigals, rounds, drinking, love, and newsworthy songs from a number of different sources: ‘Pills to Purge Melancholy’, Ravenscroft, Playford, Shakespeare’s plays, among others. 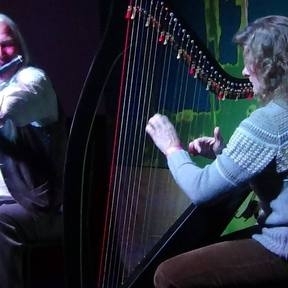 1:30 Dave Bartley To its Celtic base, modern contra dance music adds inspiration from all sorts of genres – Quebecois, Cape Breton, rock and roll, jazz, techno and even TV theme songs and symphonic music. 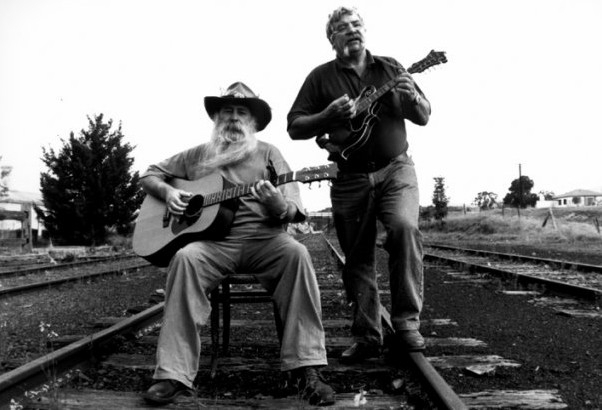 Dave Bartley has written hundreds of tunes and played with numerous bands in various genres. He’ll use this workshop as an excuse to indulge in an eclectic menu of tunes and influences. All musicians welcome, with no intent to play for dances required. 1:30 Jim Oakden Explore the mysterious world of mazurkas, hambos, bourees and more. Jim started playing piano and clarinet at an early age and stumbled into early music from the classical music scene, from whence he discovered the world of traditional and ethnic music. Having diverse tastes (or a short attention span), he performs on an absurd number of instruments, from accordion to zurna (to name a few). A dancer himself, he specialises in playing for dancers in a bunch of bands and genres. This workshop is best for music readers. See rogueryband.com for bios for the band members. See also individual web sites, Shira Kammen, Dave Bartley and Brooke Friendly. Tickets: https://trybooking.com/BADSB or cash at the door if available: $35/ $30 concession for two different workshops. Limited space. Booking advised. Discounted weekend tickets and online tickets available. Workshops will be held at the Lenah Valley Community Hall, Creek Rd, Lenah Valley, or adjacent buildings. Please be at the venues 15 minutes before the workshops for registration. 1:00 Brooke Friendly and Roguery Experience the variety of texture and mood as well as the qualities of movement and phrasing distinct to English country dances old and new. No dancing experience or partner required. 5:00 Brooke Friendly and Roguery Enjoy a whole session focusing on the dances of Brooke Friendly and Chris Sackett, published in Impropriety volumes 1-6, and perhaps some new, unpublished dances. Come dance to the great tunes—old and new—that have inspired the figures, phrasing, progressions, and nuances that are the signature of this duo’s work. No dancing experience or partner required. 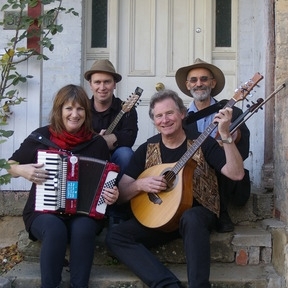 11:30 Brooke Friendly and Roguery Raucous to serene trad-inspired music by Roguery (USA). 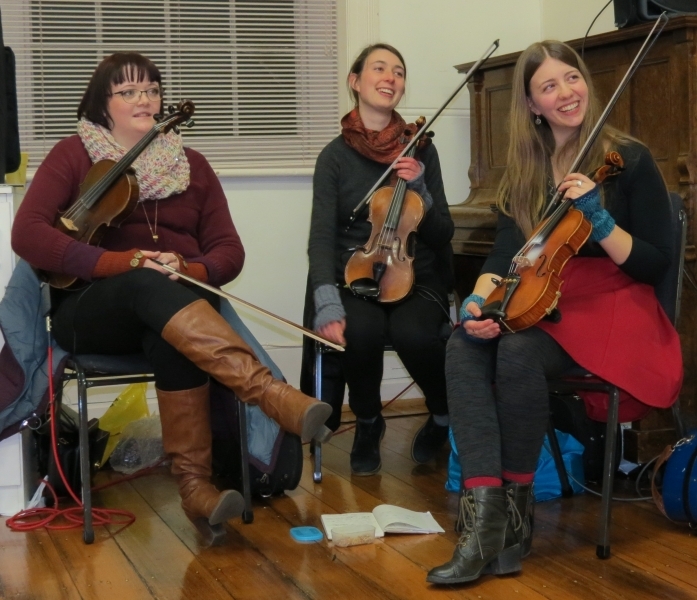 A dance party with English country dance, contra, and ceilidh style dances. All dances taught. No dancing experience or partner required. 11:30 Brooke Friendly and Deanna Devers Experience dancing all roles in a dance. 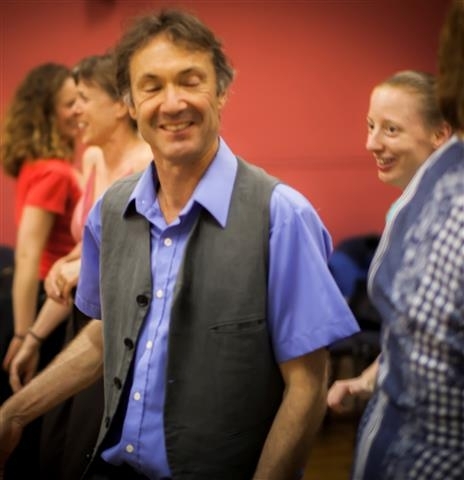 Enjoy a variety of fun, accessible English country dances while we play with global/positional terminology — a great way to build community and learn (and dance) the whole dance. No dancing experience or partner required. 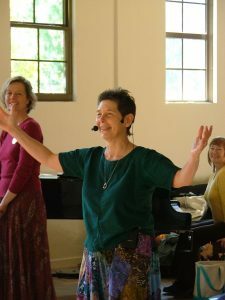 1:30 Brooke Friendly and Deanna Devers Dance, laugh, and experiment as we focus on dancing rather than dances. Build learning, helping, and partnering skills. Be ready to accept mistakes as an opportunity to get better at recovering. Dance more, worry less. No dancing experience or partner required. 5:00 Brooke Friendly and Roguery A final chance to dance to the raucous to sublime music of Roguery, featuring the English / American connection – exploring the blurred area between what is defined as English Country Dance and Contra (American) dance (and a little dash of Scottish) — figures and styling that have crossed genres. No dancing experience or partner required. Tickets: https://trybooking.com/BADSB or cash at the door if available: $15/$13 concession for each Saturday day time and Sunday afternoon dance. See above for ball. $35/$30 for the pair of Sunday dance workshops. Discounted weekend tickets and online tickets available. Our caller, Brooke Friendly (USA) is known for her warm yet commanding personality, her clear and concise teaching, her creativity, her sense of humour and whimsy, and her attention to community. Brooke teaches throughout North America and England. A dance choreographer, she and Chris Sackett are publishing their sixth book of dances (Impropriety 6). See Brooke Friendly. 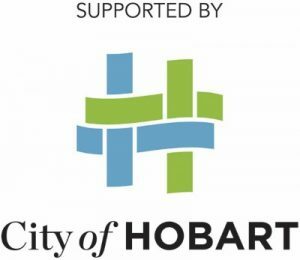 All Saturday dances will be held in the magnificent Hobart Town Hall, 50 Macquarie St, Hobart. 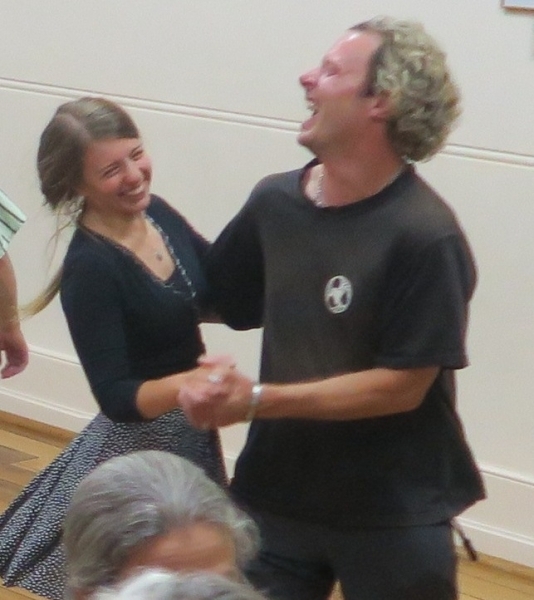 All Sunday dances and dance workshops will be held at the Lenah Valley Community Hall, Creek Rd, Lenah Valley. Please be at the venues 15 minutes beforehand if you have a tickets for an individual dance (rather than a weekend or day ticket).